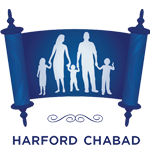 The Chabad Hebrew School prepares children to be comfortable in a Jewish environment. Therefore we offer your children a program that includes Prayer, Hebrew Reading and basic language skills, Jewish History, Tradition and Values. We wouldn't want to miss out on Jewish Holidays and Shabbat so we included those as well. By the time students complete the fun and interactive learning experience at Chabad Hebrew School, they will not only know how to read and write Hebrew and have acquired a basic Hebrew language skills, additionally, they will have gained an appreciation for the who, what, when and why of Jewish life and want to be a part of it. Drama, song, interactive workbooks, Aleph Champ and of course the teachers all bring the information to life at the Chabad Hebrew School. We engage your child's sense of identity by capturing his/her imagination and attention. So, we put a lot of effort into providing our students with substantive lessons and a positive atmosphere. The lessons are multi-sensory and hands-on, ensuring that the students truly experiencCurriculum Portale what they are being taught. Art projects are incorporated into our curriculum to add to the excitement of the upcoming holidays and Mitzvot learned. Chabad Hebrew School uses the highly motivational Aleph Champ program to teach Hebrew reading. With the Aleph Champ program, reading has never been this fun!! Beginner students begin by being introduced to the letters of the Aleph Bet. They will spend a great deal of time on letter recognition through exercises and games to ensure that their foundation in Hebrew reading is solid. After they master the Aleph Bet, they will begin learning the Nikudot (Vowels), focusing on recognizing the names, appearance and sounds of the Nikudot. They will then begin doing reading exercises with 2 and 3 letter words. As students continue in our more advanced Hebrew classes, they will strengthen their reading skills, focus on reading fluency, and learn handwriting as well. Students will study the incredible, rich history of our people from the very beginning, by studying the book of Genesis (Bereishit), continuing to the Book of Exodus, and journeying through the Jewish timeline. Our younger students will be using the excellent and innovative Beraishit and Shemot curriculum, which brings the lessons of the first two books of the Torah down to the students in a fun, hands-on and creative way. The children will experience the Torah stories as if they were there! Students create their very own history scrapbook, allowing them to internalize what they have learned and to express their creativity and imagination. As each holiday of the Jewish calendar approaches, we will spend a great deal of time learning about the history, customs and traditions of the holiday. This will help bring meaning to the many beautiful, yet often strange rituals of our heritage. Expect your children to learn in depth about the following holidays; Rosh Hashanah, Yom Kippur, Sukkot, Chanuka, Purim, Pesach, Lag B’omer, and Shavuot. We encourage you to ask your children to share with you the many things they are learning about each holiday. This will help reinforce what they are learning in the classroom and may well add meaning to your family holiday celebrations. We also encourage you to join our community holiday celebrations and services; they require no membership. Our older students are introduced to more advanced prayers such as the Amidah, using a Siddur that was specially designed for Hebrew Schools. The Siddur includes simple, clear introductions to each prayer, English translations so the students can better understand what they are saying, extra large Hebrew letters for easier reading, and key words highlighted for further study. Exploring the beauty of Shabbat, taking a break from the week and spending time with family will provide a deeper understanding of this tradition for our students. In order for children to be able to develop a sense of pride for their Jewish heritage, they need to begin learning about their traditions. It is our goal to introduce to them as many traditions and concepts as possible, in a manner that allows them to see the beauty and meaning of Jewish Tradition. At Chabad Hebrew School, we believe that Judaism is a holistic experience, involving the whole child, at all times. We therefore include in our curriculum special activities and "Mitzvah Missions", which allow our students to bring home the concepts they are learning in Hebrew School and to experience them fully.